Chef Damon Baehrel names as his favorite food – an apple. I find a crisp, slightly tart, juicy apple absolutely irresistible, he writes in his new book Native Harvest: The Inspirational Cuisine of Damon Baehrel (Lightbulb Press, New York, NY, 2016). It’s a cookbook without many recipes and a picture book without many finished dishes, but it’s first and foremost a testimony to Baehrel’s fanatically unique approach to fine dining. 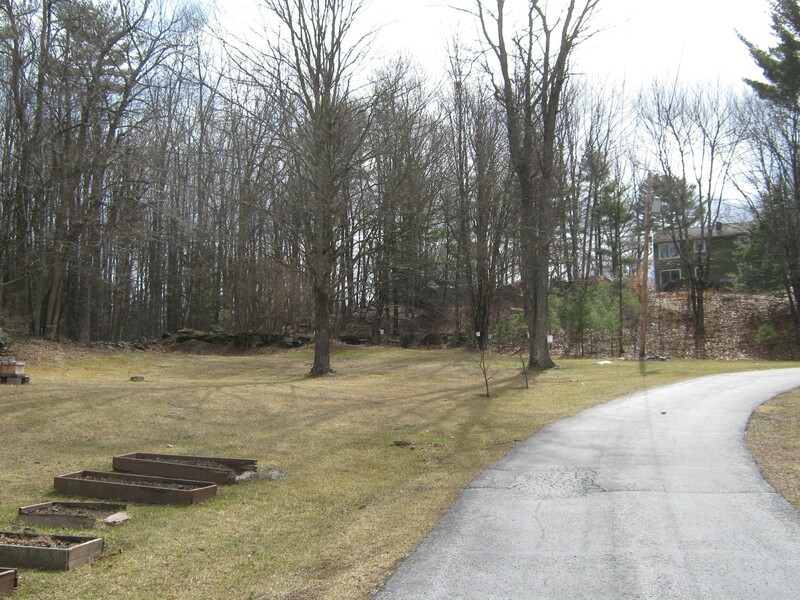 He runs an eponymous restaurant in Earlton (Greene County) in upstate New York, just north of the Catskills and a few miles west of the Hudson River. The place may be the world’s most stunning example of farm-to-table cookery, given that most of the ingredients come from Baehrel’s own 12-acre property all year round, and are transformed through the chef’s ruthlessly innovative systems of wresting the goodness out of the unlikeliest parts of the harvest. But don’t even think about getting a seat at his eatery any time soon. Reservations are backed up for a matter of years, a controversial topic that has netted his restaurant the distinction of being named the world’s most exclusive even as disgruntled speculation flies around as to the veracity of so much delay. I visited the restaurant over fifteen years ago, when it still was evolving towards its present identity, so mine was a more conventional tasting-menu experience. But I have spoken with people who’ve visited very recently and characterized it as the finest, most innovative meal ever experienced. There is no Native Harvest manifesto, Baehrel writes. What I do is based on a simple, honest, wholesome, and non-judgmental belief that nature has all the answers, just waiting to be discovered. He credits a lack of culinary training as an inspiration to his inventiveness – which he characterizes simply as being curious and aware of his surroundings, where he witnesses the uncertainty, inconsistency, and surprises of nature. 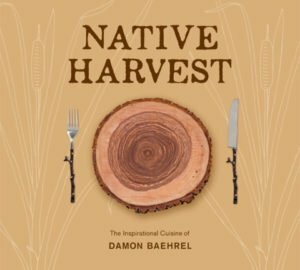 Native Harvest is a substantial coffee-table tome, generously illustrated (Baehrel is credited with nearly all of the photos), and packed with nuggets of insight into the process of discovering the bounty of your own backyard. 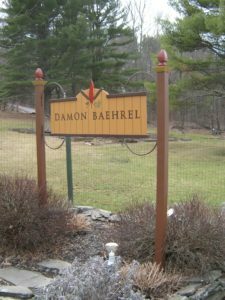 When Baehrel describes his own discoveries, it brings to mind an essay by Bill McKibben titled A Carefully Controlled Experiment, describing the summer McKibben spent studying a ten-foot-square area of his own backyard, because, he wrote, the best interviews I conducted were with the field biologists, the people who were down on the ground carefully studying the life of these places, finding reasons to save them. Writes Baehrel: What we consider our lawn is, for the most part, a little soil with rocks of all sizes, and hopefully, something green. But, as one who hammered together his own house, he’s tuned into details. 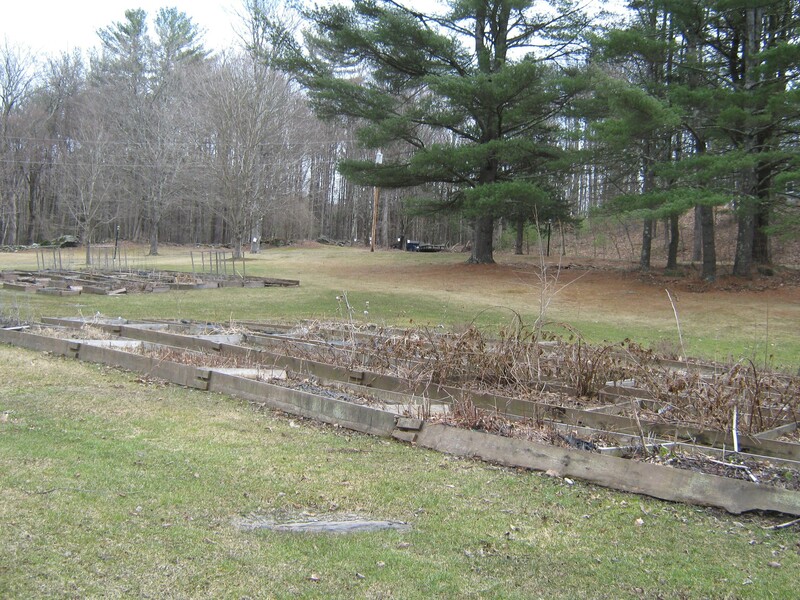 He studied the changes of texture and flavor of plants throughout the growing season. He discovered that deer eat certain bits of tree-bark for a brief period in late winter because of the salt content evident only then. From this grew the use of that bark, alongside the harvesting of sap from various trees (I often serve it chilled instead of water) and the use of cooking planks from felled hardwoods. And thus does the book proceed, from what’s abundantly wild to what grows through cultivation, all put to use in his cuisine in creative and surprising ways. From wild onions and wild asparagus to wild varieties of violet, thyme, carrot, and parsnip, there’s a natural bounty at hand, and his special paean to the dandelion notes that one of his several uses of that plant is to cook the dandelion root in a broth made from ironwood and black birch branches, eventually turning it into a sauce for seafood. You quickly learn that Baehrel is a flour fanatic, milling his own from what’s around him – so you might be served a cracker made from dandelion root flour. Roots of wild clover also yields a flour, as well as a concentrated essence distilled from the blossoms. Both the roots and young shoots of burdock have their uses, as does clover and day lily, and one of the few recipes in the book is a preparation of day lily with wild mushrooms, finishing in a tender stack of alternating layers. The obnoxious, ubiquitous knotweed becomes a stevia-sweetened ice. He cultivates many different herbs, and will occasionally present guests with a single wild mint flower or leaf between certain courses – not to eat, but to bruise with their hands so they can experience the cleansing aroma before the next course. Carefully (intelligently) harvested mushrooms figure into many of the items he serves, although his favorite cooking method is to sear or roast them on hot stones or wood slabs. Not surprisingly, there’s an expansive section describing the cultivated plants and vegetables grown on the property, covering all of the familiar ones – among them cucumber, corn, beets, cauliflower, kale, leeks (the tortoise of the onion family – they grow ever so slowly), melon, onions, peas, peppers, potatoes, pumpkins (for pumpkin butter), shallots, spinach, and squash. But it’s not just the carrot itself that he’s after. Carrot-water onions, for example, are the result of continuing to cook sauteed onions in a mixture of water in which carrots were cooked as well as some fresh carrot juice. Or how about smoked carrot with melted cabbage? It’s a process of tenderizing shredded cabbage in a smoked carrot stock for several hours. Some form of slow cooking figures in many of the vegetable preparations, such as slow-cooking fennel in concentrated beechwood sap. Baehrel plants a thousand cloves of garlic – a process after my own heart, although I haven’t gotten much beyond 400, and that was a backbreaker. That Baehrel sometimes wraps each clove in a leaf as it’s planted, mixing the fanaticism we expect from him with a dose of pure common sense – the cloves need protection and mulching. I’m going to try this. But not with a thousand. 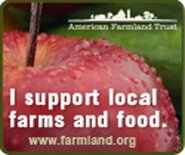 He acknowledges that the fruit he cultivates becomes a food supply for everything living in the area, but that only goes on to help the area. Thus he grows apples, of course, as well as apricots, many types of berry, grapes, pears, plums, and more. I melt wild onion roots for several hours in a maple wood broth with a touch of maple vinegar and let them cool before mashing them in a cold stone bowl. In another stone bowl, I gently mash some blackberries, adding a touch of maple vinegar and sea salt. To finish, I combine the onions and blackberries and add a few additional chopped blackberries for texture. Just a little goes a long way as a condiment. He makes over three dozen varieties of cheese, embracing the variations that will occur from batch to batch thanks to the vagaries of nature. What better way to end a five-hour meal, he asks, than with a combination of cheeses and my homegrown fruits accompanied by dandelion flour flat breads or clover and acorn flour breads? He provides a detailed approach to making soft cheeses, and explains that his recipes for hard cheeses include coagulants made from native and wild cultivated plants, roots, and even tree barks. The section on Native Harvest breads is brief but fascinating, centered around Baehrel’s use only of ingredients sourced from his farm, especially his own milled flours. Just creating enough flour to make the bread for our guests is a year-round effort that adds hours to my day every day, since I make it from trees, acorns, nuts, plants, and vegetables. A section titled Going Native Harvest with Other Foods is where the meats and fish come in. My role is to make every part of the animal as a memorable as possible to celebrate its life while enriching our own lives at the same time. Here, too, is where you’ll find the bulk of the recipes, such as sumac chicken wings (they get a coating of salt and sumac powder), pine needle pork (the meat sits, refrigerated, for five or more days in a coating of pine needle powder and salt before undergoing a further two weeks of pine-needle brining, then poaching the meat in hickory sap), rock shrimp cooked in cherry sap with lemon cucumber seeds; a preparation of clams, hemlock, ostrich ferns, and burdock root; and sycamore sap-brined salmon belly. Dinner at his restaurant is a five-hour journey through these well-considered courses, but the book may provide a better insight into Baehrel’s unique approach by following him around his farmland and learning so many different ways to consider what grows there. It’s one thing to live as self-sufficiently as possible; it’s quite another to evolve that into a completely original approach not only in using as much of the ingredient as possible but also to turn it into a fine-dining element. May we all learn to look at our backyards in this way!